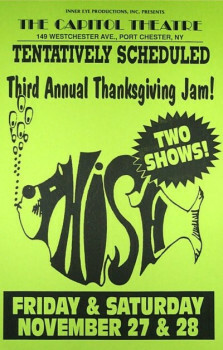 So, while researching this severely important point, we stumbled upon this web page and learned the answers to questions we were just about to ask… Like, how many times did Phish play this legendary venue? Deadbase says the GDead played there 18 times! We have been to every venue of note in the NYC metro area over the past zillion years, including numerous trips to the Philmore East on 2nd Ave back in the olden days and to the Capitol in Passaic, NJ…. BUT we have NEVER been to the Capitol in Port Chester. All that will change on Sat. nite (11/17/12) when we finally lose our Capitol virginity! Shout out to Peter Shapiro for investing the big buck$ to restore this gem back to its historic glory and booking hot-azz shows there like Trey’s recent barn burner. Thanks for the cool poster and stub scans and stream linx. That Forbin’s>Mock’bird was a treat. Kudos! Thanks for checking out the blog DD. Enjoy the Cap, I am sure the Phil shows will be monster. I hope I can check out the new renovations at some point too! here’s a link with some of the sick line-ups from the Cap’s hey-day…. 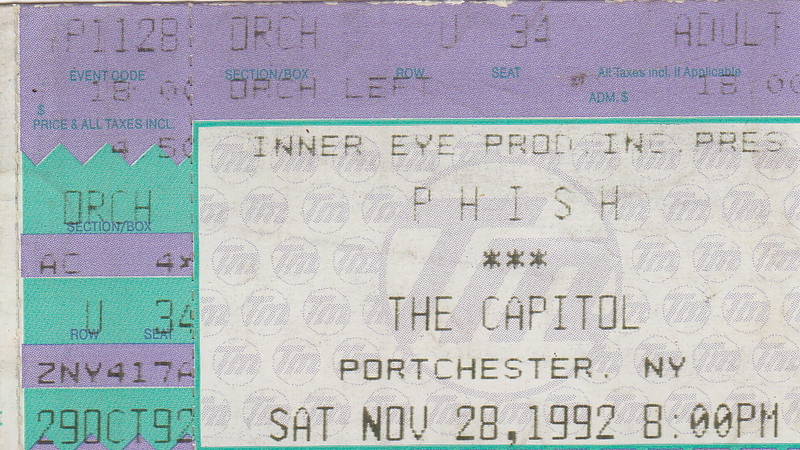 I saw 5 Phish shows at the Cap. I loved them all. 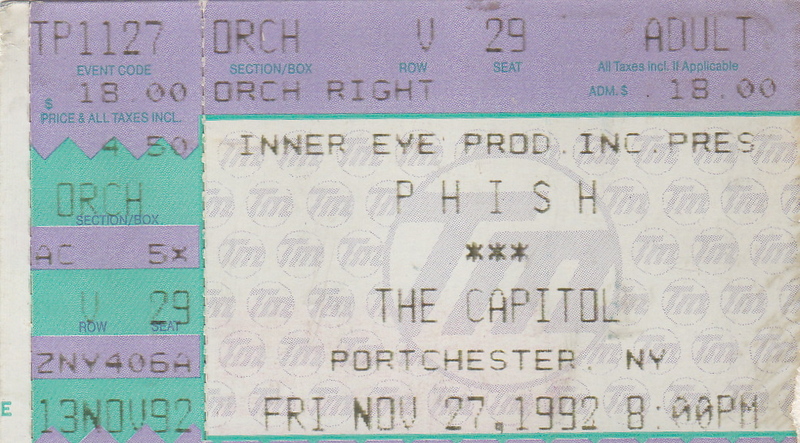 It was so Phishlike that the first Cap show I saw after Thanksgiving 90 was a little better than half full. 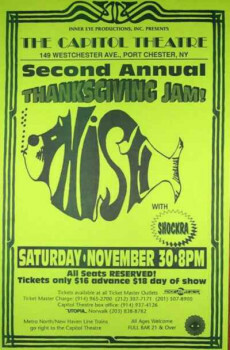 A year later 75% full, & then the last 3 in May 92 & the KILLER 2 nights after Thanksgiving 92, the place was jam packed & pulsating. I feel strongly that the 92 run should be an official release (both nights are magnificent) & being that its the 20th anniversary & the Cap is back, this would be a great time to do it. Make it a Sandy benefit release!! Lets get back into Fish’s ear. I agree Tony, the 11/92 shows would make a great release! Super solid all the way through and there are very few official releases from that year (I can only think of a couple). Thanks for checking out the blog.